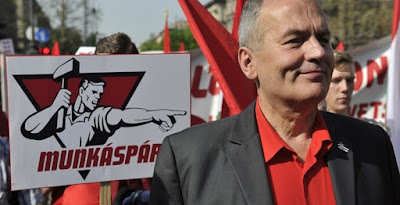 Gyula Thürmer unanimously reelected as president of the Hungarian Workers' Party (Munkáspárt) at the 27th Congress that was held in Budapest. Born in 1953, Thürmer has been the chairman of the Party since its formation on December 1989. Strong Hungarian Workers’ Party! The Hungarian Workers' Party should take an active partin the internal policy struggle, it should be able to give quick analyses, quick answers and act quickly. This decision was made on the Hungarian Workers' Party's 27th congress. This was our new strategic decision. The strategic position of the Workers' Party hasn't changed in the past four years. In some areas we have strengthened, in others weakened. There's no need for a strategic shift. We should have the same goal for the next years: Strong Hungarian Workers' Party! The Hungarian Workers' Party struggled with many problems in the last 30 years, but we have survived all difficulties. We have learnt that the party's existence depends on us, our dedication, our faith and our work. The Hungarian Workers' Party is a living, active, working party. We are true to our principles, we hold to our history, but we are up-to-date, we constantly modernise and renew our work. We consequently undertake the task of representing Hungarian national values and interests. This is the condition of the party's survival and strengthening. More difficult times may come but we are able to overcome our problems and create a strong Workers' Party. The hundred-year-old history of the Hungarian workers' movement obliges us to do this. This brings us closer to realising our mission, creating a society where it's the people who matter, not the money. 1. We should prepare for the new tasks! The capitalist system is in crisis. Radical changes may start which can change the situation in Hungary too. The Hungarian capitalism's situation is also fragile. The capitalist parties can't provide durable solutions to the problems of the people. Our duty is to show that there is another way. 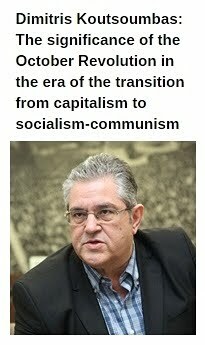 Radical, external changes and Hungarian developments can drastically change the situation in the country and start a new, radical era of the class struggle. We should be prepared for it theoretically, politically and organisationally too. 2. Party-building is a matter of life and death. The Presidium and the regional leaderships should prepare a joint action plan for party-building, concretely determine which people they can work with, what should be done on a local and on a central level. Materials should be prepared and distributed which is true to the party's principles and informs about the party in a popular way, especially on the internet. The methods of working with people who show interest at the party's events or on the internet should be developed. Everyone should take the members' database seriously! There's no modern, effective party without accurate database. 3. Financial sacrifices should be made for the party. 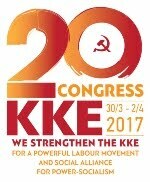 The 27th congress draws the attention of all the party's organisations and members that the party's activity in its current structure is sustainable only if we can increase the party's incomes. Let's pay more membership fees! Let's subscribe the our weekly, A Szabadság(The Freedom)! Let's join the "One Thousand Club". The membership fee is financial support and an expression of determination towards the party at the same time. Our weekly A Szabadságis a method of gathering information and our important weapon in keeping contact with people. Let's all subscribe to A Szabadság! Let's find new subscribers! Maintaining the party headquarters is the interest of all members. Let's join the "One Thousand Club"! We rely on everyone's support! The party's future is in the interest of all of us. 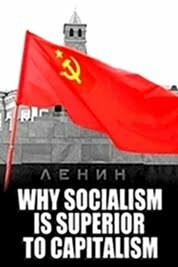 Decades of work can be wasted if we don't undertake more sacrifice for the party, for socialism. In the fight against capital we can only rely on each other. 4. Work on the internet remains our strategical direction. We must concentrate here a significant part of the party's material and intellectual resources. It's our important task for the future to spread IT culture among the active members of the party, to make them understand the importance of the internet as a political tool. We have to ensure the use of modern technology on regional meetings, the organisation activity of the party's Szabó Ervin Academy and the communication among the CC members. 5.Recruiting young people and replenishment of the ranks of the party is the number one duty of all leaders. 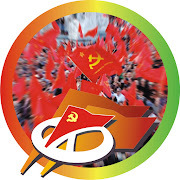 Recruiting young people for the party's leading bodies and replenishment of the ranks of the partyis necessary for the party's future. The central and the local leadership should work out the directions of renewal together. 6.The Hungarian Workers' Party should be among the people. 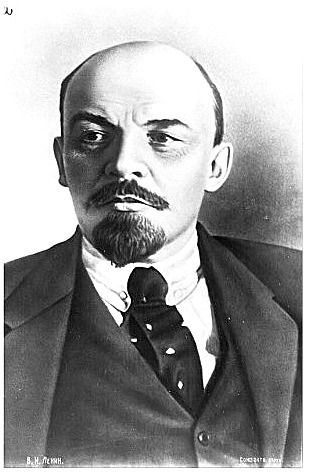 We should make the voice of the workers, the working people louder against the voice of the capitalists. We must be active, offensive, stable and determined. 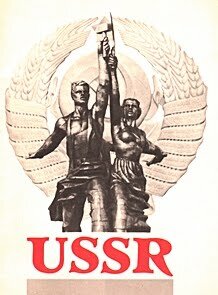 The Hungarian Workers' Party is ours. The Hungarian Workers’ Party will be like how we make it to. All members should have one hour a day or one day a week for party work. 7.The streets are ours still. A central group should be set up for the organisation of street events. We should use our local forces in a concentrated way in Budapest and in the bigger counties. We have to consciously and regularly go everywhere we can. We have to maintain the practice of countrywide action days. 8.Let's use the opportunities given by the elections! We have to use the possibilities of capitalist democracy. We have to run in the elections. We have to make it possible for the people to vote for us. The midterm elections are still important possibilities for us. We have to correctly determine our forces and run in the most important places. Let's include new people! Let's use the experiences of the campaigns. Let's show that we can help the people, the working people. Let's show that the Workers' Party can be the guarantee for the realisation of the issues which are the most important for the people. But we should also show that the situation of the people will drastically change only if they don't only get the breadcrumbs from the tables of the rich, but if they get the bread itself. Let's show this society! 9. EP elections: Let's show that there is another way! The Hungarian Workers' Party runs in the 2019 EP elections. The party can collect enough signatures. We still consider the EU an organisation of the billionaires and the big capital. But we also see that the EU is in crisis. Our duty is to use the opportunity given by the elections and show a new, democratic way of cooperation between European people. 10. Let's protect the traditions of the workers' movement! It's the duty of the Workers' Party to protect the values of the Hungarian workers' movement. We will continue to celebrate with honour the anniversaries of the working class. 11. There is no modern party without modern knowledge. We can't be modern without learning. We must learn to win. The Szabó Ervin Academy (SZEAK) should become a basic institution of political education. The recruitment of students should be conscious, based on local advice and central approval. Local organisations should finance the journeys of young members to Budapest. The SZEAK should be connected to the party's multimedia tools. 12. 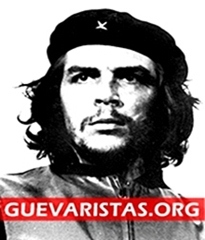 Proletarians of all countries unite! 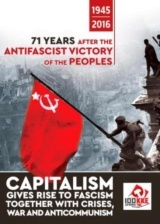 We will continue building relationswith the communist and workers' parties of the world. We initiate the regional cooperation of the communist and workers' parties of the Visegrad countries (V4). Our duty, our mission is to outline a more effective, new way of organising society, the most humane form of society life. Our duty, our mission is to convince the European people that socialism is a possible choice for all European nations. This is our strength. That's what no one except us has.